Shark is the definitive series on the apex ocean predator, made on a scale never attempted before and revelatory in both content and photography. This series shows the enormous diversity of sharks around the world and highlights some of the incredible behaviors that have allowed them to survive for over 400 million years. Shark showcases some 30 species with footage from dozens of habitats worldwide including mangrove swamps, shipwrecks, coral reefs, under the polar ice, and on land. Yes, there is even a shark that walks on land! With new insights, new breakthroughs in technology, and a new generation of cameramen with pioneering approaches to underwater filming, Shark is a truly eye-opening and awe-inspiring program. 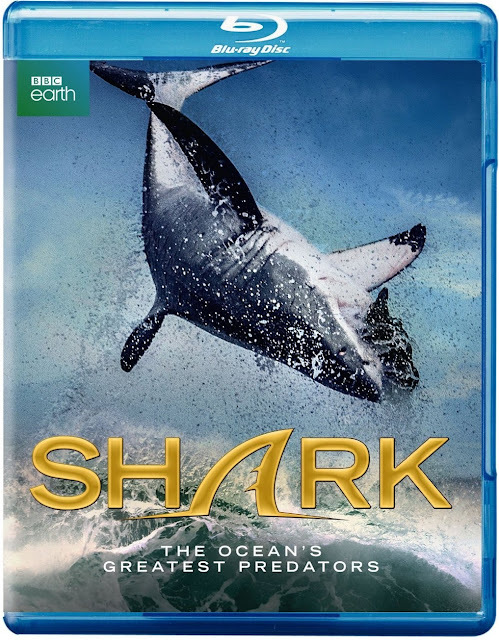 Narrated by Paul McGann (the Eighth Doctor for all you Doctor Who fans), Shark is another in a long list of BBC nature documentaries. I am such a fan of the BBC documentaries from Blue Planet to Planet Earth; I could watch these series over and over and over again. In this series, BBC puts together an excellent inside look at the more than 500 species of shark. 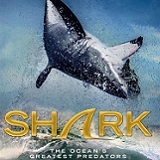 From the ragged tooth to the great white to the mako shark, the episodes in this series provide information on more than 20 different species of shark. 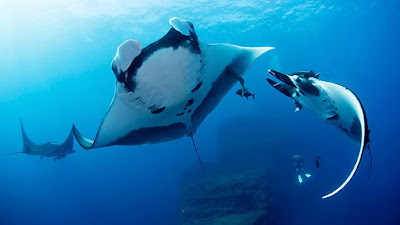 Did you know that manta rays are a species of shark? How about a shark that walks on land? I didn’t either. In Shark, I learned those bits of information and much more. Sharks live in every ocean in the world; including the Arctic Ocean. The Greenland shark lives under the ice, swims a half a mile an hour and can live for 200 years. The goblin shark lives in the deep ocean and uses electromagnetic fields given off by other fish to hunt for food. It remains unchanged for the last 100 million years. 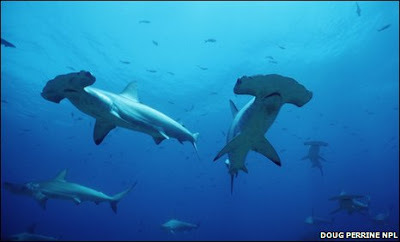 These sharks are just two of the many species profiled in the show. I’m a huge fan of Shark Week, but I have to say, this surpasses anything Shark Week airs. This is informative, interesting, definitely not boring and beautiful to watch. The information from the scientists and cameramen really made the viewer sympathize with sharks, even yes, the great white shark. They really showed that sharks are not out to get humans, it’s a territory thing, it’s a wrong place at the wrong time thing and sharks are just as afraid of us as we are of them… they are just so much bigger. The crew filmed around the world for 352 days and more than 2,000 hours and not once felt like they were in any danger. I also really enjoyed learning about how sharks mate and lay their eggs. Shark eggs come in all shapes and sizes and there’s even one in the shape of a spiral. Lemon sharks carry their babies in the womb and give birth in the same exact place they were born. But that’s the extent of the mother’s involvement… once born, the mother leaves and the baby sharks fend for themselves in the mangrove forests for the next seven years. I really can’t say enough about how much I enjoyed watching Shark. I learned a lot about sharks, but even about the crew, who took almost a year of their lives to travel the world filming on land, in air, on and below the ocean. 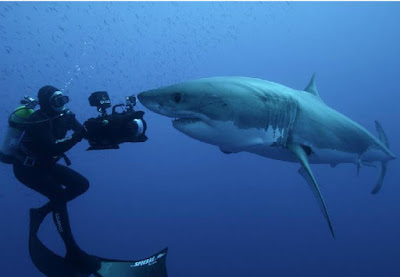 They provided great insights on the many, many species of sharks, how to film them, and even interacting with them. Just because I learned about it, doesn’t mean you will see me in a shark cage any time soon. I’ll leave that to the professionals. The picture was perfectly clear, and it looked like I was looking through the windows of an aquarium. The cloudiness of the picture was due to the dust in the ocean and not because of a problem with the filming. It was just so natural that the viewer is able to see the plankton in the water, the dust in the ocean. The colors are sharp and absolutely on point. They are rich and vibrant, clear and almost perfect. Drops of water were sharp and you could see each splash in the ocean. This is a beautiful Blu-ray to watch. The narration for Shark was excellent. Narrator Paul McGann was clear and concise. The narration was informative, intelligent and it was easily understandable. The sounds of the ocean were good. I could imagine myself underwater and hearing the water rushing around me. The background music was appropriate – it was exciting and calming at the same time. The features included were really just two additional episodes. I learned a little more than I did in the first two episodes, but much of it was repeats and extended looks at what was included in the main episodes. I don’t know what I expected in the way of special features, but this wasn’t it. Beneath the Surface – Another episode about the sharks, their feeding habits, hearing, etc. 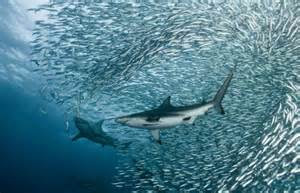 It includes interviews and speculation from scientists and others on why the sharks arrive when they do and how they know the fishermen have caught a fish. The scientists use sound experiments to prove the theory that the hearing of an oceanic white tipped shark is superb and they talk about how sharks can learn and use fisherman to feed them. It’s an hour about their survival and how sharks have adjusted to survive. There is a lot on how they each have their own personalities and how some of them interact with humans. The episode also touches on the migration of the animals, DNA testing, tagging and much, much more. Unfortunately, this episode seemed all over the place. Too many different topics – from how sharks feed to how they help medically. I just couldn’t focus on the episode. 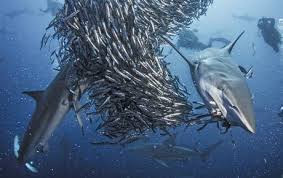 Beyond the Bite – Fifty-two minutes more about the sharks starting with a repeat of the Greenland Shark info. What was interesting about this that there were interviews with the cameramen and scientists who all talked about the sharks and filming. I can only imagine the difficulties the crews had in each location. This episode was much better than the other and I found myself really interested in it. I wish the special features had been more than just two additional episodes. I wanted to see more about the planning, the filming and the process of getting all the footage. The series in general was excellent and coupled with the audio and video, it was a beautiful documentary. I tend to watch the BBC documentaries over and over again, and even turn them on when I go to bed and fall asleep listening to them. They are exciting and calming and I know I will never get bored of them. I can’t recommend this enough. In fact, I’ve already lent my copy to a family member.